Ian Cozzens is a working screenprint artist who took his current position with New Urban Arts in 2015 after serving for multiple years as a volunteer artist mentor. 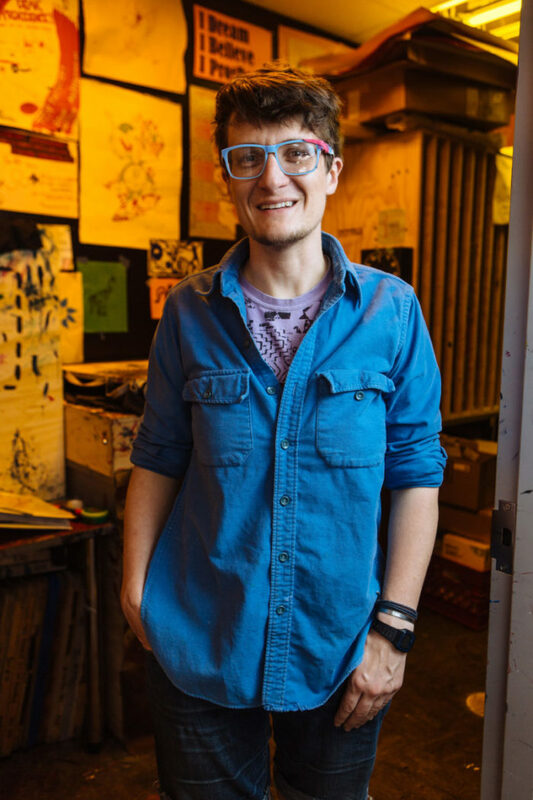 He has also taught screenprinting at the AS220 Community Printshop in Providence and Louisiana Artworks in New Orleans. Ian holds a BFA and a BA in Architecture from The Rhode Island School of Design. As one of Rhode Island’s most sought after poster designers, Ian has been awarded the Rhode Island State Council on the Arts Merit Fellowship in Design. He also maintains a busy exhibition schedule. In October 2016, his work was exhibited in the East Coast Screenprint Biennial. Other exhibitions include Studio 1504 in Abu Dhabi, the RISD Museum, The Bushwick Print Lab, and Space 1026 in Philadelphia.